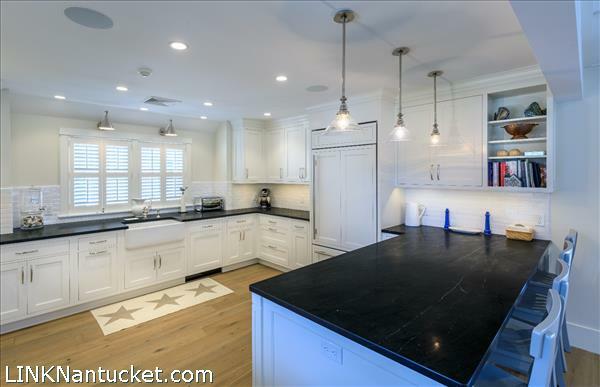 This newly built home in desirable Brant Point offers a light and bright open floor plan with living with fireplace, kitchen and dining room that opens onto a spacious back deck. 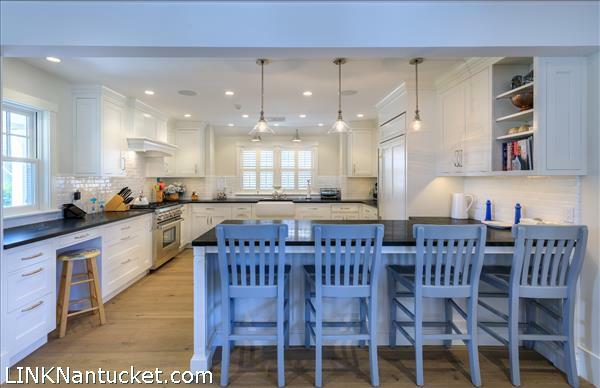 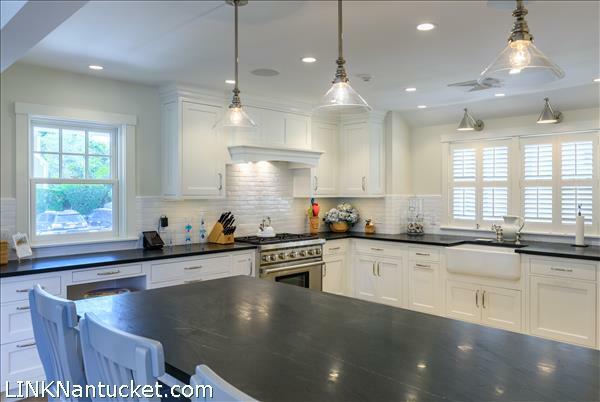 This custom design has multiple living spaces inside and out, including four bedrooms and three and a half bathrooms, and a Widow's Walk with views of Nantucket Harbor and Sound. 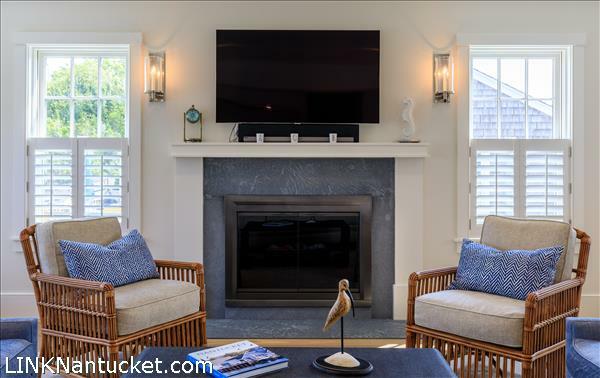 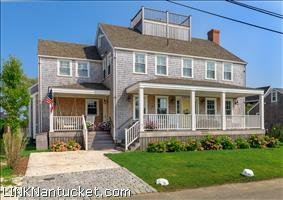 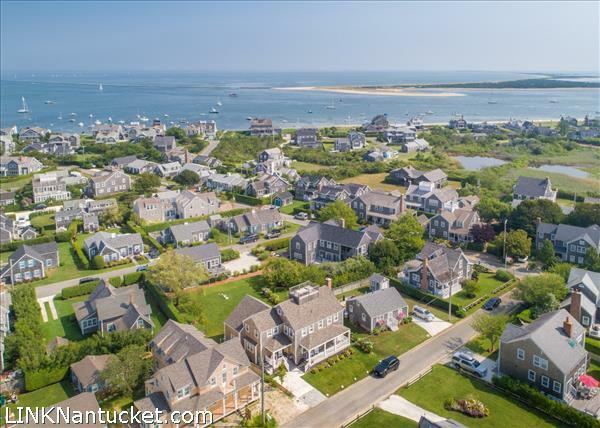 Located in the heart of Brant Point, this property is in close proximity to Town, Children's Beach and Jetties Beach. 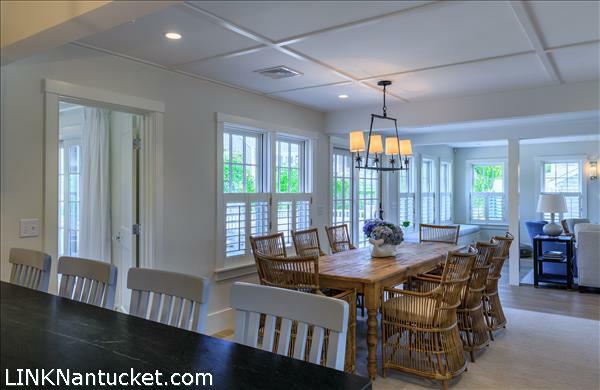 1st Floor: The large covered porch brings you to the front door and opens into the open living room with fireplace, dining room and gourmet kitchen with eat at counter. 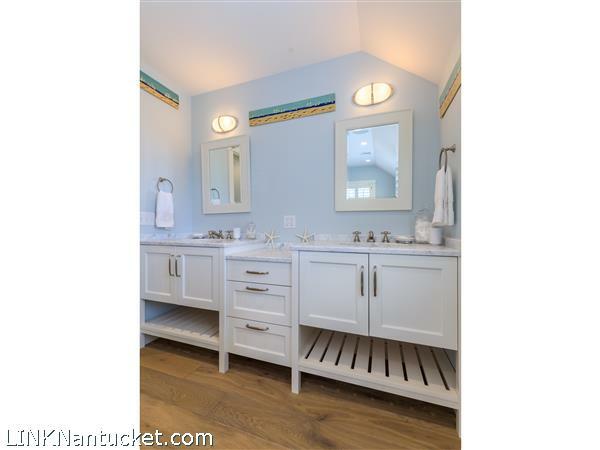 A side entrance and mudroom with laundry are off the kitchen area. 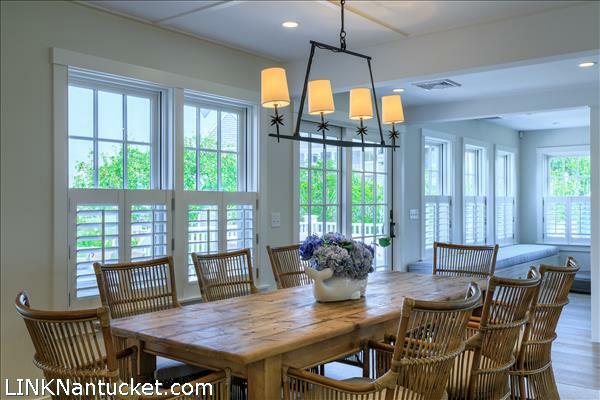 French doors off the dining room open onto a gracious deck with room for dining and lounging and steps to the back yard. 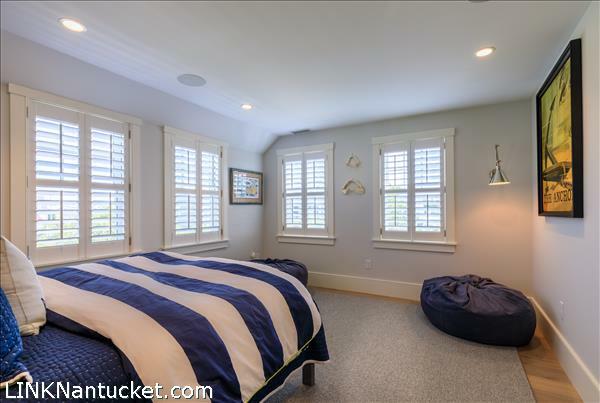 A first floor king bedroom with door to the back deck has a private bath with tile shower. 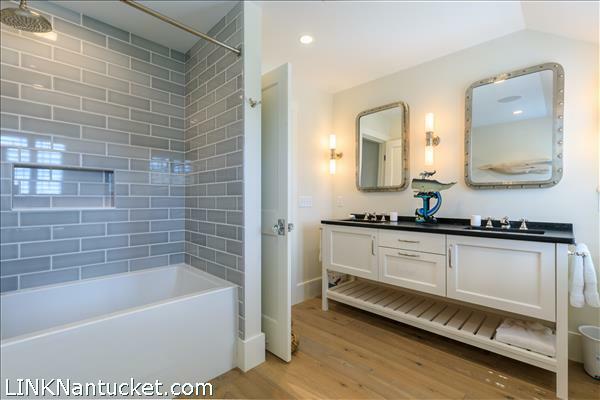 A powder room is located off the living room. 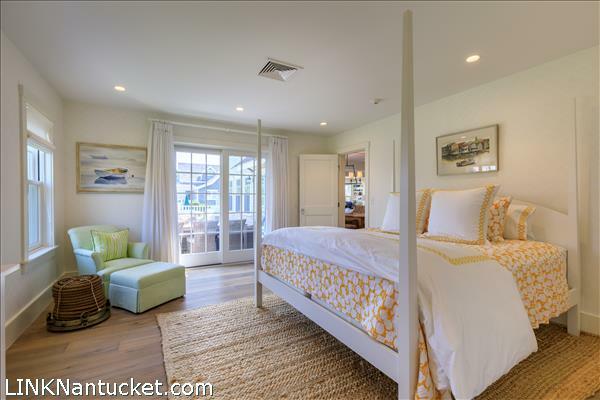 2nd Floor: The large family room is the center of the 2nd floor and provides access to two guest rooms with a shared full bath with tub and shower, the master bedroom suite with built in double dressers, walk in closet, and private bath with oversized tile shower and double vanity. 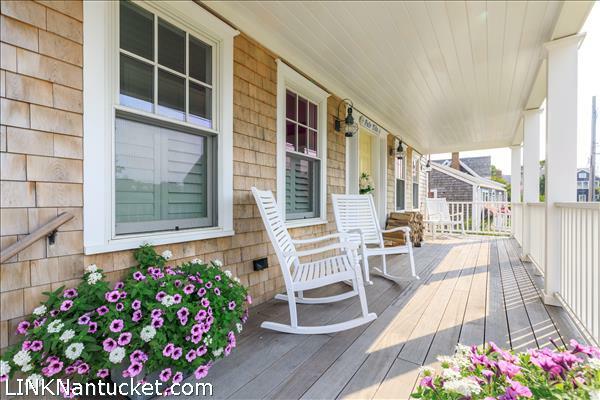 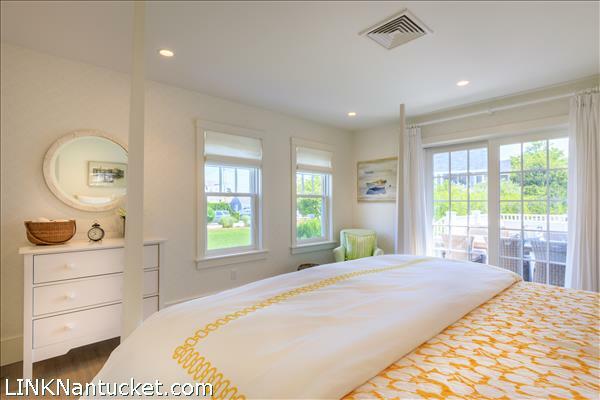 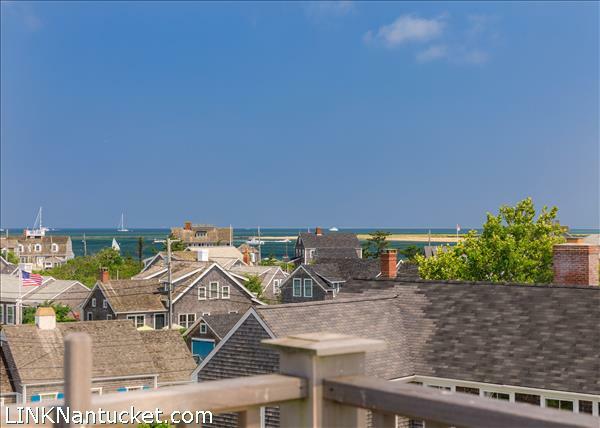 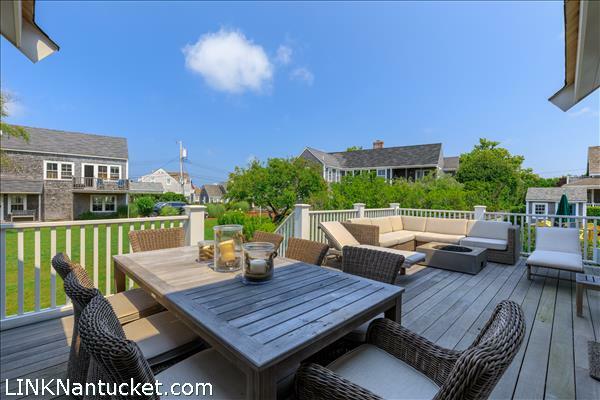 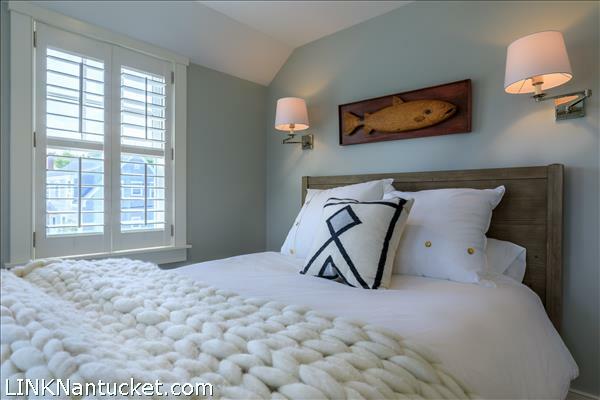 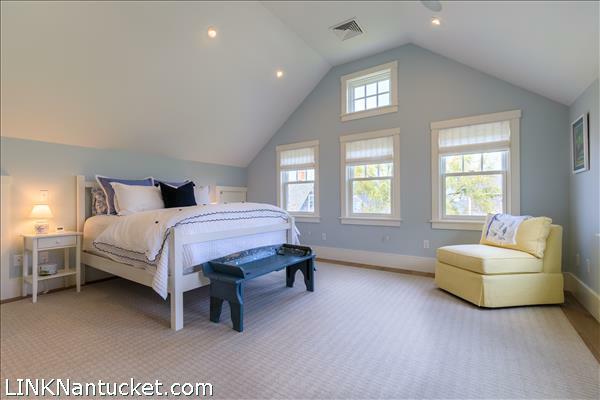 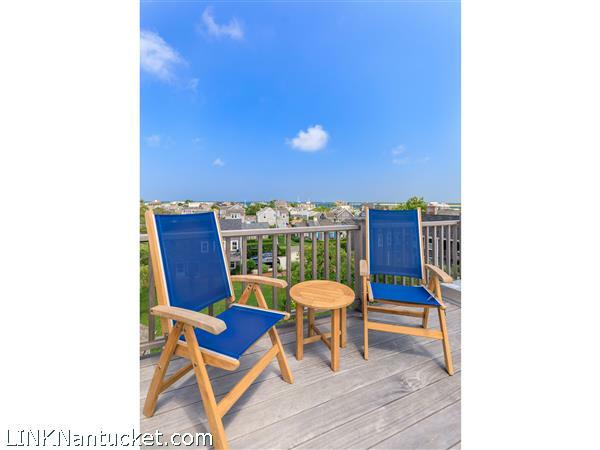 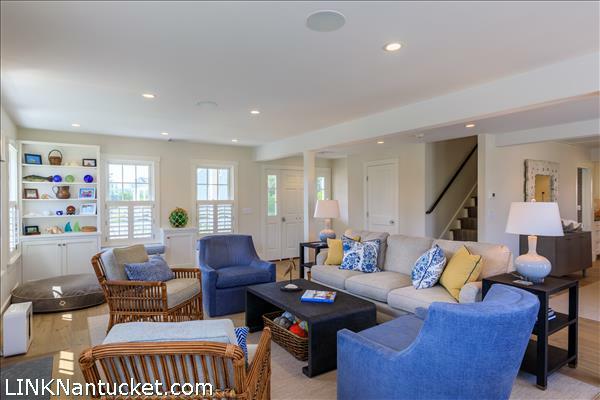 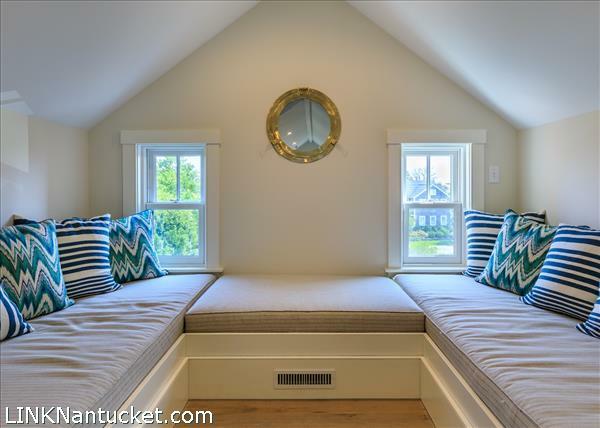 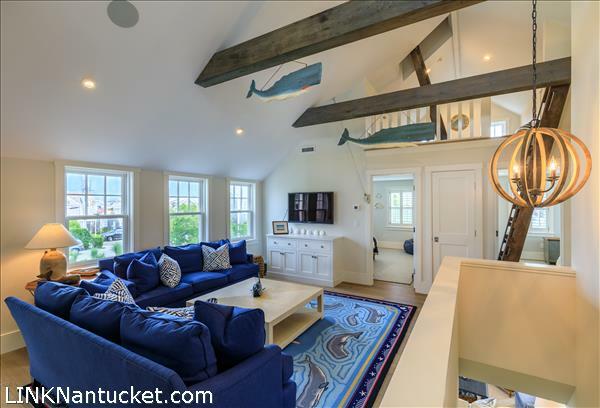 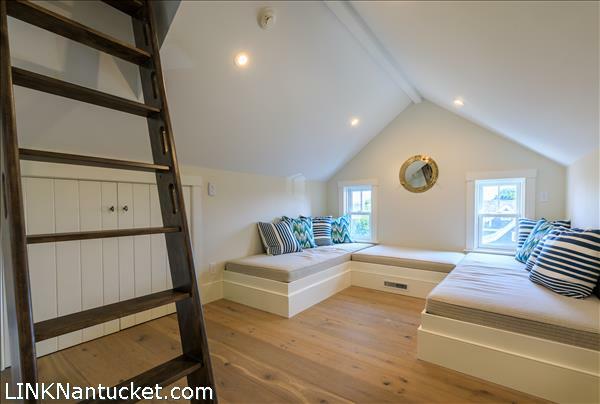 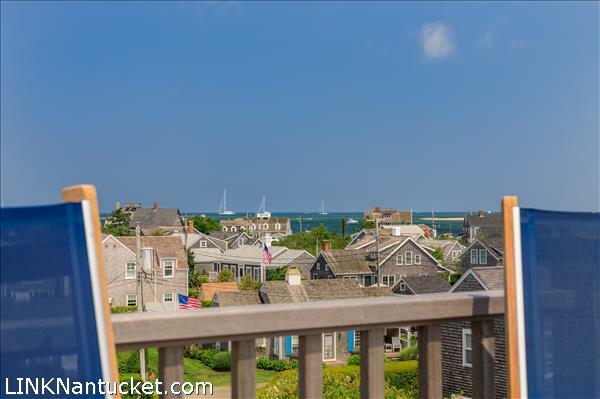 3rd Floor: A ships ladder brings you to the loft with built in beds/seating and the Widows walk with views of Nantucket Harbor. 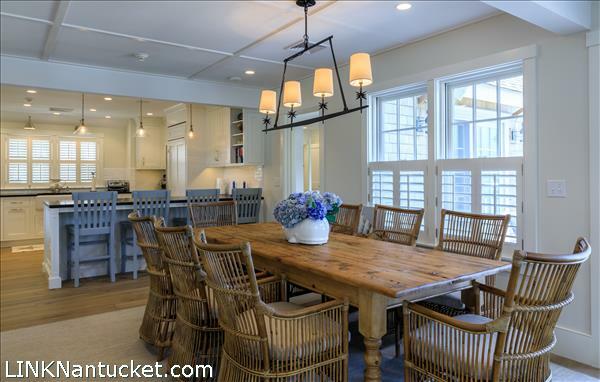 Listing has been viewed 926 times.